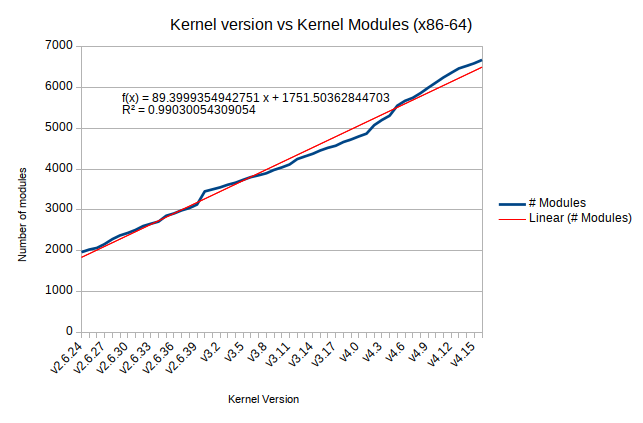 ..as one can see, the rate of growth is relatively linear with about 89 modules being added to each kernel release, which is not surprising as the size of the kernel is growing at a fairly linear rate too. It is interesting to see that the number of modules has easily more than tripled in the 10 years between v2.6.24 and v4.16-rc2, with a rate of about 470 new modules per year. At this rate, Linux will see the 10,000th module land in around the year 2025. It has been a while since my last post about stress-ng so I thought it would be useful to provide an update on the changes since V0.08.09. I have been focusing on making stress-ng more portable so it can build with various versions of clang and gcc as well as run against a wide range of kernels. 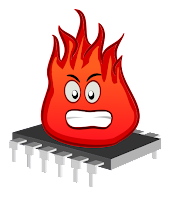 The portability shims and config detection added to stress-ng allow it to build and run on a wide range of Linux systems, as well as GNU/HURD, Minix, Debian kFreeBSD, various BSD systems, OpenIndiana and OS X. 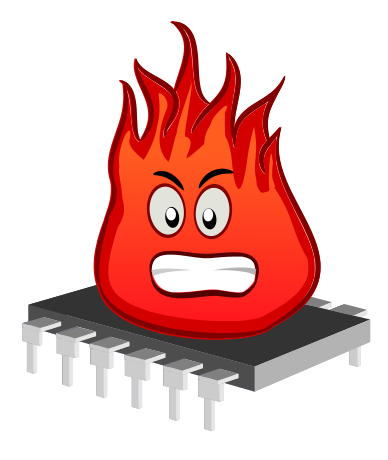 Enabling stress-ng to work on a wide range of architectures and kernels with a range of compiler versions has helped me to find and fix various corner case bugs. Also, static analysis with a various set of tools has helped to drive up the code quality. As ever, I thoroughly recommend using static analysis tools on any project to find bugs. inode-flags - (using the FS_IOC_GETFLAGS/FS_IOC_SETFLAGS ioctl, see ioctl_iflags(2) for more details. funccall - exercise function calling with a range of function arguments types and sizes, for benchmarking stack/CPU/cache and compiler. Stress-ng has nearly 200 stressors and many of these have various stress methods than can be selected to perform specific stress testing. These are all documented in the manual. I've also updated the stress-ng project page with various links to academic papers and presentations that have used stress-ng in various ways to stress computer systems. It is useful to find out how stress-ng is being used so that I can shape this tool in the future. As ever, patches for fixes and improvements are always appreciated. Keep on stressing!